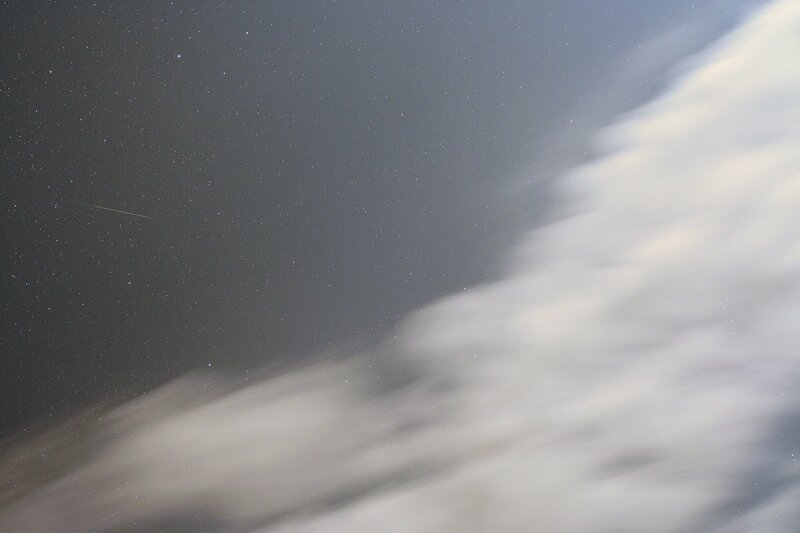 This is a composite image made from a video allsky camera. 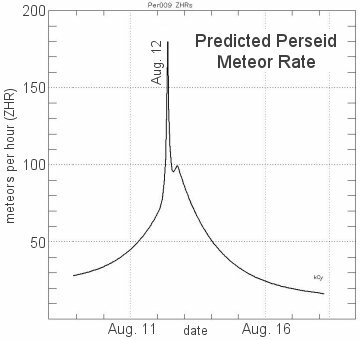 It records 96 Perseid meteors on the peak evening of August 12. 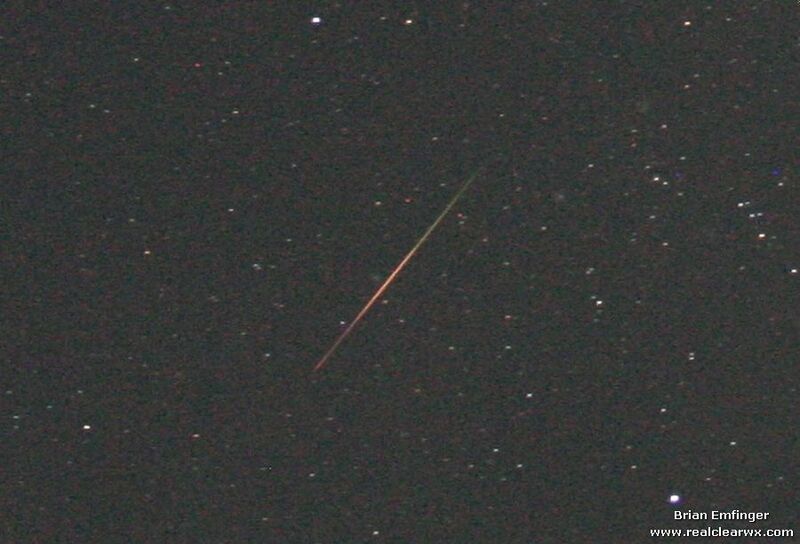 All non-Perseids have been removed from the image. 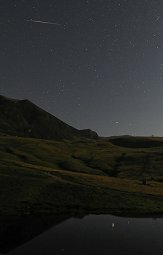 The Moon has also been removed. The plotted data shows the frequency of events, and clearly records the predicted UT 08:00 outburst of activity. 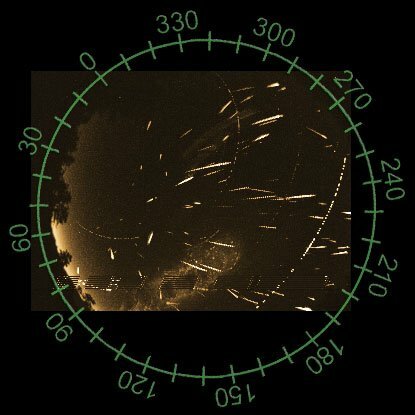 A composite photograph shows a flurry of 18 Perseid meteors captured in the morning hours during the peak period of this years Perdeids meteor shower. 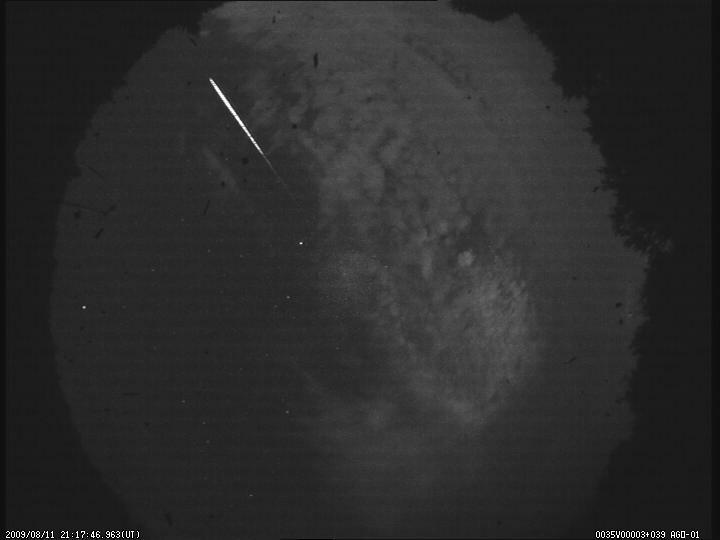 A total of 18 meteors were captured from 06:01:19 to 10:55:00 UT. 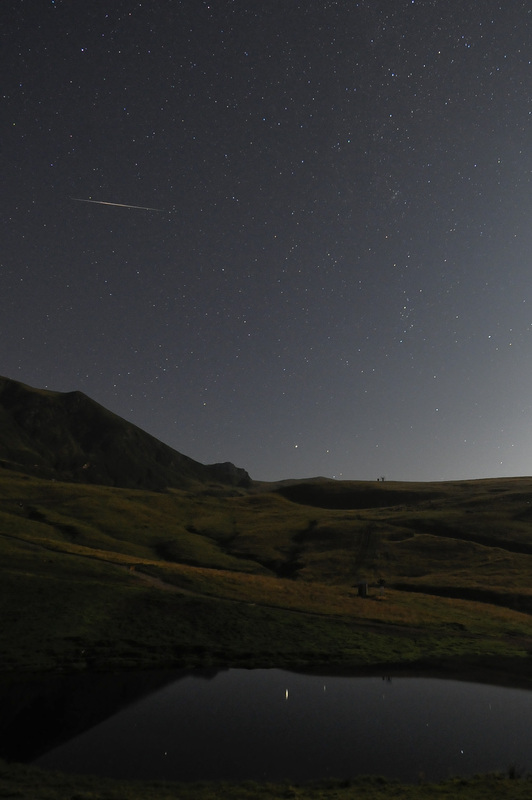 Although competition from the Moon and a high level of light pollution limit the number of visible meteors, the composite image is still a remarkable reminder of the wonders that exist in the skies above! 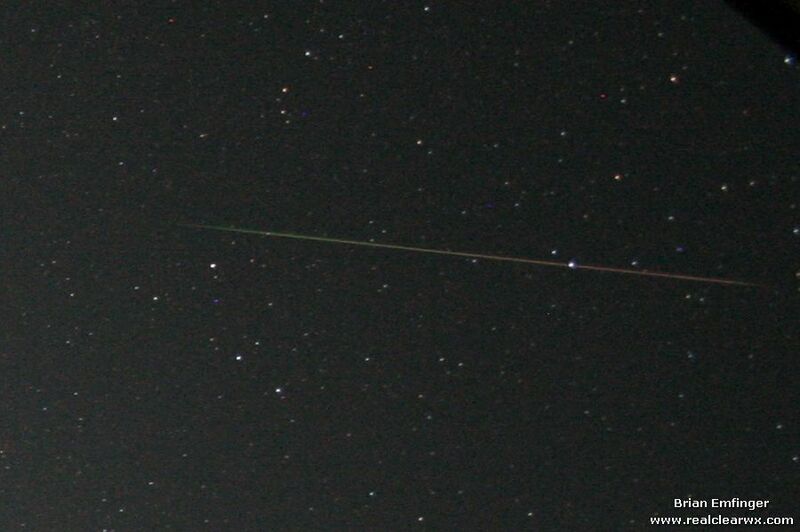 Photo details: 17 images composited on a frame captured at 04:07:28 local time. PC164C video camera, Swann 4mm f/1.2 lens, UFO Capture automated PC capture software. Composite image created in Adobe Photoshop CS. 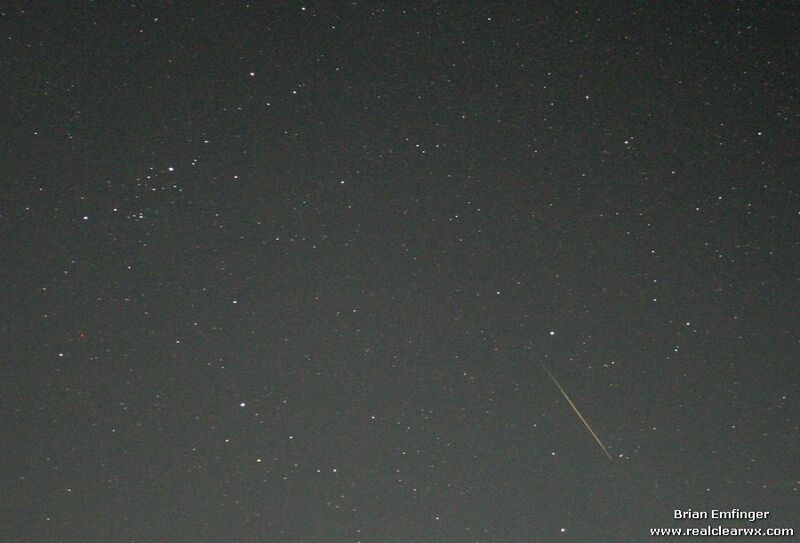 Pleiades are in the right behind the clouds. 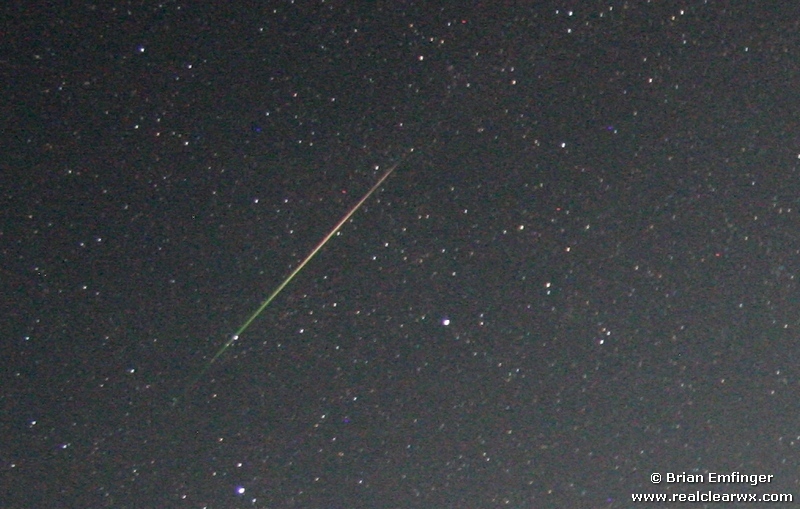 I caught 20 meteors with my camera and saw many many more. 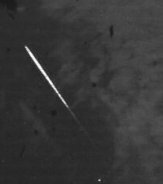 I saw one fireball between 9 and 10pm but nearly all of the meteors I caught were between 2 & 4 AM CT so the forecast of the 1610 meteor streaming impacting around that time seemed to verify. 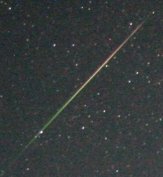 Perseid meteor/fireball of night August 11/12 from Astronomical and Geophysical Observatory Comenius University located in Modra, Slovakia. 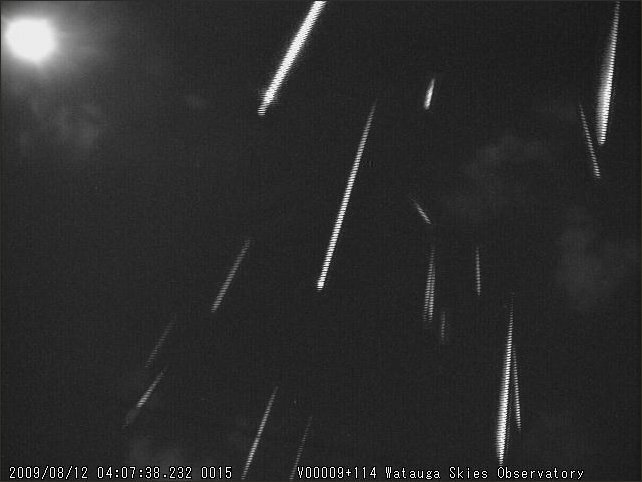 All-sky composite image of video meteor system. Observer L. Kornos.